If you are looking to replace parts or just add on to your existing equipment, you can find everything you need right here. 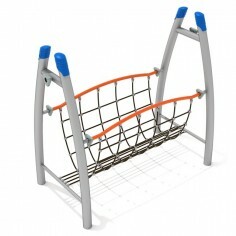 At PlaygroundEquipment.com, we have all of the affordable playground equipment replacement parts you could need to make your play space fully functional and get it working as if it were brand new again. 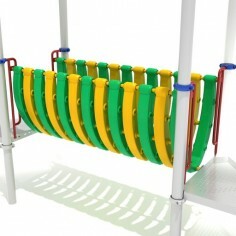 These top-quality play system components are suitable for either maintaining or improving parts of a playground setup. When you need the right outdoor play set parts to make sure that your space is safe and functional, we’ve got you covered like one of our shades! What Is a Playground Made of? Playground equipment is generally made from highly durable materials like steel, rubber, or heavy-duty plastic. These materials should be safe and sturdy for years to come, but even so, you may need replacement parts from time to time due to aging and weathering. Which Parts of a Playground Should You Replace? One of the first things you should do when determining if you need to replace commercial playground equipment parts is evaluate your play structures. Check for functionality and note problems with security, maintenance, and structural integrity that may be associated with the parts of playground equipment you already have. For example, commercial playground parts that have rust on them or are splintering should be immediately considered for replacement. Make a list of all of the replacement parts for playground equipment that you need and cross-reference it with our selection of durable and affordable components. We’re sure to have the parts you need for your school, park, or other playground in our catalog! While replacing worn playground parts and accessories, assess the area around your play space as well as inside of it. Playground borders, for instance, can be an important part of protecting the integrity of your play space and keeping your recreational area safe for children. They can also keep surfacing, like mulch, in place and reduce the need for the replacement of ground cover. Some playground replacement parts can be more costly than others, but buying parts of playground equipment borders to help protect your existing investments is a smart decision. 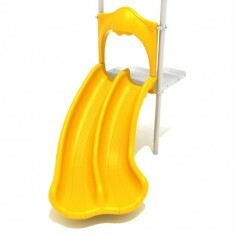 At PlaygroundEquipment.com, we have playground replacement parts for sale that can make switching out worn or weathered equipment a snap. Our commercial playground equipment parts are built to last and can withstand the rigors and whims of kids who like to play hard. If you’re interested in replacing your playground parts with brands that are similar to your original structures, contact us and let us help you choose replacement parts for playground equipment that will fit best with the structures you already have. We’ll guide you through the process of choosing parts online, making it simple to find the durable products you need. Whether you need affordable school playground replacement parts or want to upgrade the structures at a public play area, we can work with you to find the right products and fast shipping options to get your equipment up and running as quickly as possible. Contact us today for the best in play structure components!